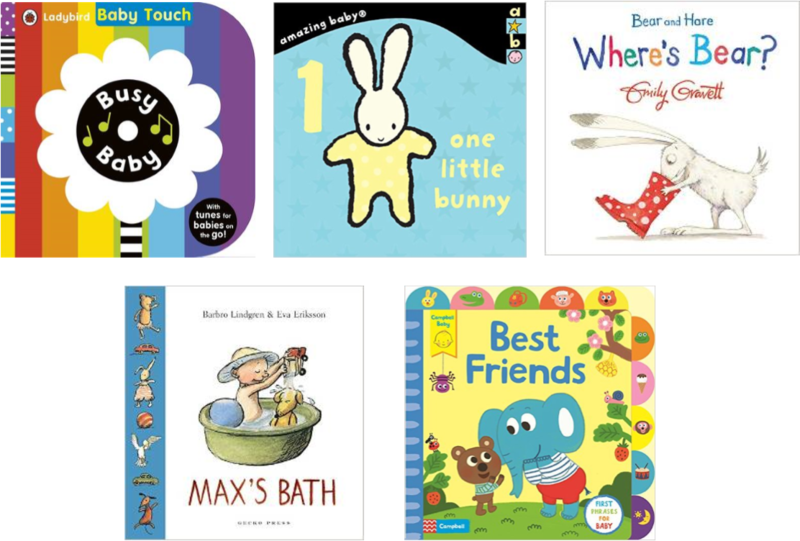 There are plenty of things to discover and explore in the brightly coloured pages of Baby Touch: Busy Baby (Ladybird), encouraged by lots of touch-and-feel patches on the pages. 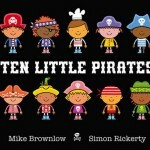 This is a large format board book perfect for sharing, and it comes with an accompanying CD which includes ten instrumental tracks. 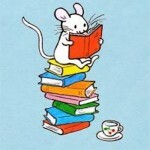 We have always been big fans in the Library Mice household of the Amazing Baby range of books illustrated by Emma Dodd and it is with great delight that we found out that the range was being updated. It is well worth checking out the whole range but One Little Bunny (Templar) is a particularly gorgeous example. 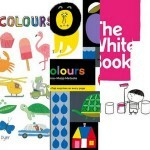 It is a lovely first counting book which uses animals and toys to count up to ten. Each double spread is dedicated to a number with a big glittery (but not girly!) embossed number to encourage little children to trace the numbers too. 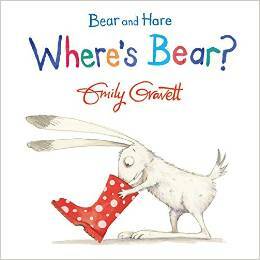 Talking about bunnies and counting, Emily Gravett’s Bear and Hare series (Macmillan Children’s Books) is absolutely delightful and in Where’s Bear? the two unlikely friends play hide and seek. 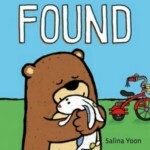 Short sentences, gorgeous artwork and sturdy pages make this series a perfect first introduction to stories for toddlers. Another great short story perfect for storytime is the hilarious Max’s Bath from Barbro Lindgren and Eva Eriksson (Gecko Press, translated from Swedish by Julia Marshall). 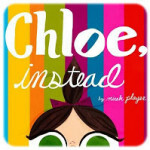 There will be giggle aplenty thanks to Max’s bathtime antics, but there is also something rather soothing about this whole series, thanks to Eriksson’s artwork. And finally, as little people learn to navigate social conventions and might well have to do so in the park or on the beach over the summer break, Best Friends, illustrated by Kim Hyun (Campbell) is a great little tab board book which introduces them to the idea of friendship and situations they might find themselves into: having to share (or not! ), disagreements but also plenty of fun. Lovable and bright animal characters make all this much less daunting and introduce them to phrases that will soon become quite familiar.